I love this oufit. We had a Thanksgiving Lunch to go to with the whole family. I put together this outfit with in mind a holiday spirit. 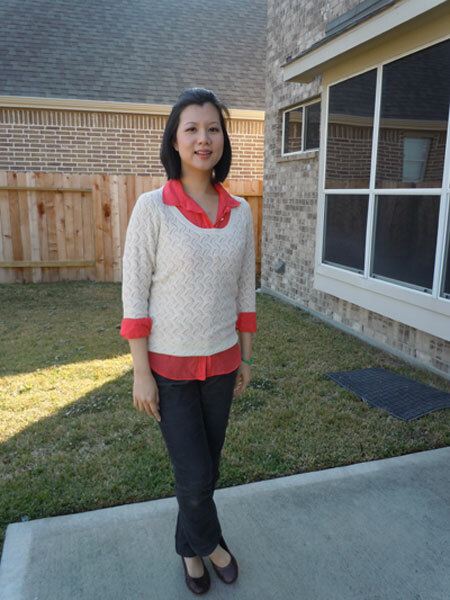 The bright poppy colored blouse paired with a shimmery sweater. The cords give the outit a more casual yet still polished look. The J. 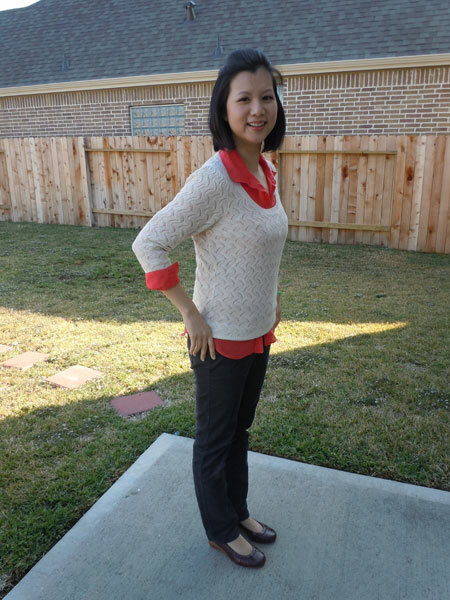 Crew blouse is a staple in my closet because it can be dressed up or down. The down side of it is that it’s very thin (it thins in some places) and easily wrinkled. This Forever21 sweater is from their LOVE21 collection. Very soft and buttery to the touch, I love that it sparkles with metallic fibers woven through the sweater. The 3/4 length sleeve was perfect for today’s Thanksgiving weather. Very low 60’s, sun shine and a light breeze. It was amazing to get together with my family. We had a blast and I loaded up on turkey. I think that’s it for my turkey day! Happy Thanksgiving!